FROM DISASTER TO CATASTROPHE was the title of my last book published in 2010, the year of the great flood in Pakistan. As a friend here, said: “Maybe you are being prophetic”. Indeed. Even the book was a disaster, as the ‘publisher’ turned out to be a charlatan – bad paper, bad printing and no reviews. Then one by one other disasters struck. Whenever the local government in Chitral has corrupt officers, I always suffer. They simply do not like me on their patch. This has been true, since Sir Nicholas Barrington (our first patron) was BHC in Islamabad. 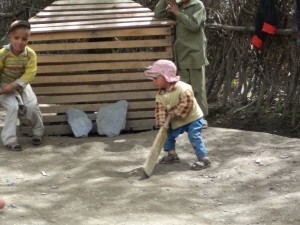 One night, in 2010, the policeman came at nine o’clock and ordered me out to Chitral. I, Gul Akhar, my friend of many years, and her husband and four children built a house together. The following year, with the house hardly finished, the husband, who ran the local hydro electric power station, met with a fatal accident. In the middle of the funeral, a wave, literally, of twelve to fifteen police and their masters swept up out of the Gol like an invading army. I must leave. I made it to Chitral and was reinstated by the Chief Secretary of the Province. 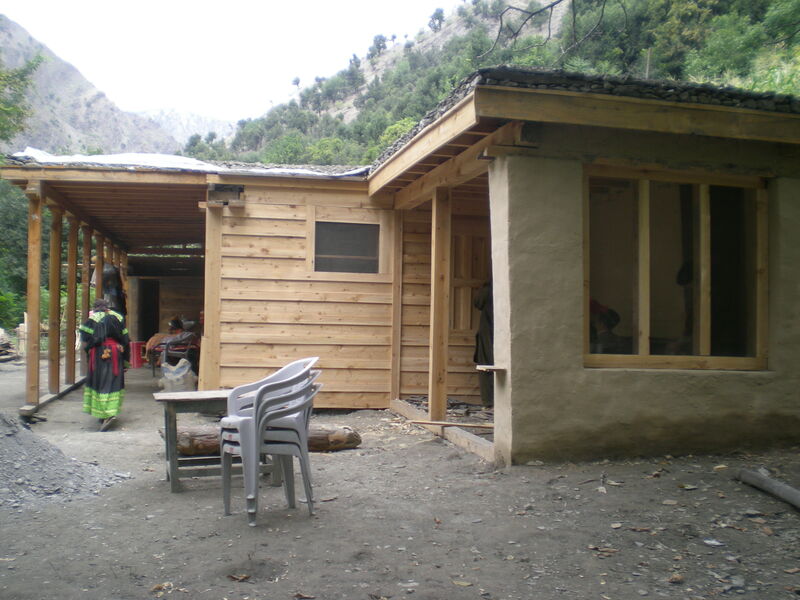 A few weeks later, at two in the morning, a much larger force – fifteen border police, three vehicles of police from Chitral, leading officers, and this time two women police, came to evict me. The Taliban were in Birir. They were after me!! I was bundled off in what was none other than custodial arrest and locked away in the Governor’s Cottage in Chitral, from where I left the next day for Peshawar. This has happened to me so many times that I lose track of all the times and events. Again, as far as I recall, I was reinstated by the Chief Secretary . As winter approached, I was again thrown out, this time to my small office in Chitral, which I had at the time. 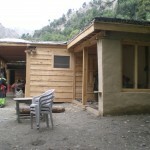 For two weeks in the bitter cold, with my back giving me acute pain every time I moved, I commuted between Chitral and Birir. My now adopted family came down for the winter. I managed to get back in the spring, soon after my family returned to Birir in order for the children to return to school. Then, just as we were finishing the first school room, another wave came up over the Gol. Again, I was thrown out. So, if those of you who are funding the school, wonder why the work is a tad slow, now you know why! That winter, before my family came down, I had a severe back operation. Last summer, after an absence of one year, the local government changed. And, so did my fortunes. Currently, one of my former employees, angry at being dismissed, is threatening me and trying to blackmail me. Perhaps, it is somewhat redundant of me to say, that I work in a difficult environment… Okay, enough of the ‘Perils of Maureen’! What about the good news? Yes, yes, indeed there is some really very good news. Now we are travelling into the light at last. Ensha’Allah, or Kodai, Kodai, as the Kalash would say, our journey will continue in the sunshine. For the sum of R 1,25,000 (£757) the education wing of AKRSP (Agha Khan Rural Support Programme – funded by the UK) will add R 5,75,000 (£3500) so that we are then no longer burdened by paying the teachers’ salaries. So we need to raise a further £757 urgently to ensure this long term support. The school now has a large kitchen – repaired twice due to torrential rain and water channel broken due to flood. A large sunny school room which is now a registered private Middle School. We hope at the end of the year to make it a government school. The Middle School students have all had new books for all their courses. We now have the second school room under construction. Currently, the roof is being put on. We are now building a small library. The Provincial Government Education Board came and viewed the school. They were most enthusiastic. To make it a High School, we need to add an Art/Science Room and a Computer Lab room which is on my wish list for 2015. We also need again to repair one step of the current retaining wall and to build one more farther up the Gol. The cost of this will be approx. £250. I now have a top Peshawar lawyer in case other corrupt officials cross my path or blackmailers. I am working with the Tourism Department with pressuring UNESCO for a biosphere and World Heritage Site and other matters. With the Culture Department for building a bridge to facilitate the local people and give access to the festival area of celebration. With the same department, redoing over the cement steps in Guru Village, which would likely be the centre piece of a World Heritage Site. 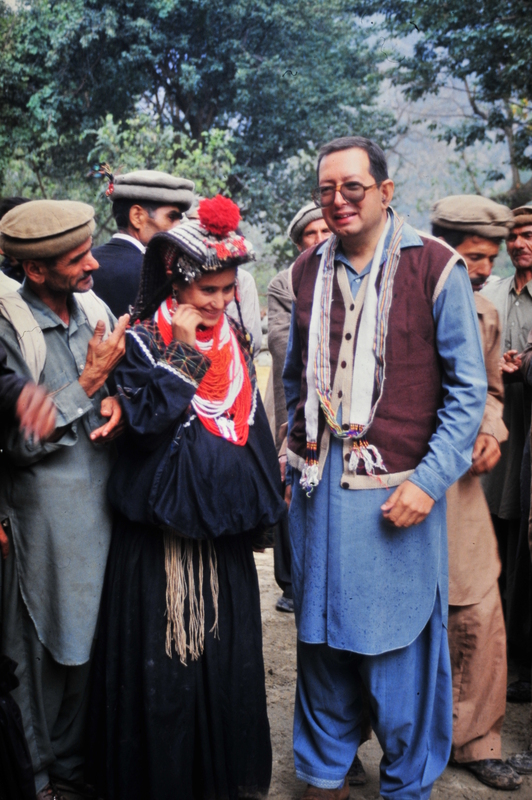 My new book – a photographic record of my life with the Kalasha – THE KALASHA OF THE HINDU KUSH, sponsored by Mr Isphanyia Bhandara, son of the late Minoo Bhandara, has now been published and we hope copies will soon be available to our friends in the UK. 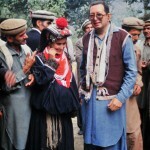 The late Minoo Bhandara photographed during a visit to the Kalasha with our President, Keith Howman. R 1,46,000 = £885 approx spent so far this year. 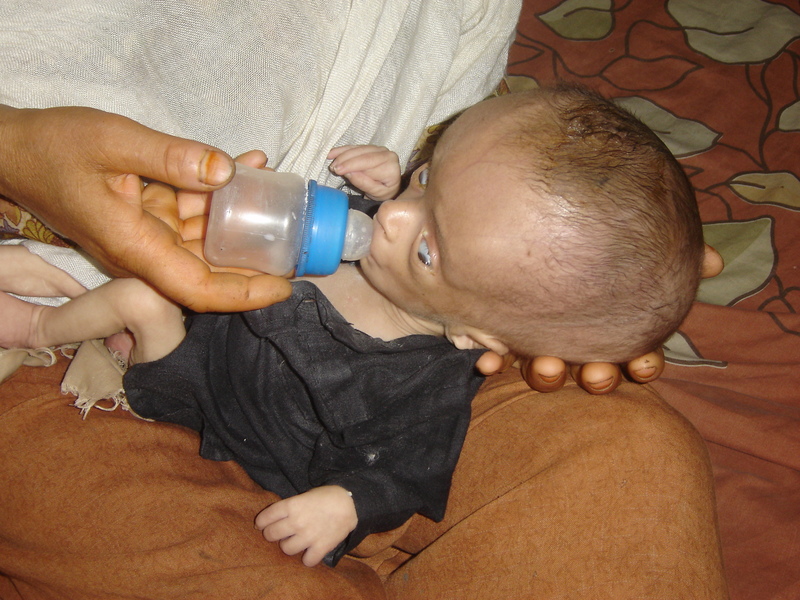 Most of the patients have been for Chitral, but recently we had a young woman with an ulcer of the esophagus, a baby with water on the brain to bring down, two young women with acute kidney problems and an operation to remove what we hope is a benign tumor. Cases for Chitral, have been two women with acute problems not diagnosed in Chitral. I am hoping to bring them down shortly, along with a young boy who fell and broke his leg and needs a further operation in Peshawar. Other problems ranged from heart problems, stomach ailments and nose and throat. We also need to stock our Rumbur and Bini Nisar dispensaries for the winter. An extreme case of water on the brain brought to Maureen in August – can she refuse to try and help? I appreciate that HKCA has limited funds available and can only work to a budget provided by me but provided in the knowledge that funds are limited. Back in early July when HKCA were in the throes of changing banks the pressure to provide aid to patients was so great that I rang our President’s very good friend Brigadier Mukhtar to ask if he could help out. He immediately and very kindly provided a loan equivalent to £750. Thank you so much Brigadier you saved the day for three patients. Subsequently HKCA has received another very generous donation from Susanne Kapoor of $3000 (approx. £1700) specifically for patients so I am no longer in debt on that score – thank you Susanne. However money is in very short supply out here on all fronts. It has not helped that for the second year I have had to agree to pay the salaries of the Birir school teachers which were previously paid by the Greek Government. Otherwise the school would have had to close. However a long term solution is in sight (see ‘The Good News’). My jeep for essential travel over the Lowari and from Birir to Chitral and to the other valleys has finally given up the ghost. I need to establish a small office in Birir so as to cut down on my trips over the Lowarie. I need to hire someone experienced for my office down here in Peshawar. My trustees saw the difficulty we had in communicating urgent matters recently due to my not having someone in the office who could work the computer. It should be mentioned that the cost of electricity, fuel for the vehicles and food has risen beyond all expectation these last couple of years. People find it very difficult to live on their salaries. I have no salary, only when I have had a government project or an embassy project and have had a token gratuity of ten to twenty thousand rupees a month for the length of the project. Now nearly all the embassies seem to have cut right down on their staff, and the Finish Embassy our chief embassy donor has completely upped states and left. Times are difficult…. I received in mid-August a most exciting email from Qasim Ayub of the Human Evolution Department of the Wellcome Trust Sangar Institute who wrote “We have completed our preliminary analysis of the complete genome of a Kalash individual and have several surprise findings. It appears that the Kalash are a population and genetic isolate and the isolation appears to have occurred >10,000 years before present. We are running some additional statistical tests to confirm this. I am now improving my walking with my friend Gul Akthar in Birir. I can now walk about half a kilometer and am using two crutches now in Birir, rather than my friend acting as a crutch. Walking up grassy embankments and dangerous water channels is a bit different from my walking here in the garden in Peshawar! Today, as I am writing this, my physiotherapist came and was very happy with my progress. When I complained of still so much tingling and pain, he again said: “GOOD!” He reiterated that when the nerves are compressed it takes a long time for recovery. I just have to press on. Gul Akthar and I have planned that I will reach Guru this year and next year, the village of Ooeri on the other side of the river where I used to live, and to the summer pastures. Truly. We figure I can take a jeep (if I have one!) to a certain place and then have two of my Kalash male friends act as crutches for me to take the last half kilometer up to the summer fields….. unless one dreams high, nothing is accomplished. Some of you may feel that my life is full of trials and tribulations but it does have moments of total joy.